The decision to do a digital rebrand your small business can be a tough call to make. You’ve likely witnessed that, for some brands, change means success, while for others, it results in disaster. While it may be tempting to forgo a digital rebrand, there are situations where not rebranding is a costly mistake. If you are wondering if it’s time for a revamp, here are 5 reasons for digitally rebranding your small business. 1. 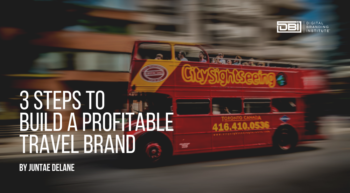 Your brand is standing out for the wrong reasons. If your website and graphics are outdated, a digital rebrand is critical. If your website was trendy when it was originally designed, it may no longer be on trend. The internet has changed a lot since it began and continues to evolve at a fast pace. Design elements that were groundbreaking 5 years ago, will be less groundbreaking now. Design elements that were popular 10 or more years ago might even make people laugh off your digital brand now, which is the opposite of what you want. It is common for people online to do roundups of outdated web design for a laugh. If you want to be taken seriously, you need a modern digital brand. If any of these seem familiar, it is probably time for a digital overhaul. Information that hasn’t been updated: Does your copyright display the current year? When was your last news entry or blog post? Outdated graphics and text: If you have animated graphics or blinking text, it’s time to rebrand. Choose a web safe font and draw attention with compelling language, strong CTAs and strategic use of color. Unresponsive design: Is your website mobile responsive? Does it look good on a tablet? If the answer is no, update your site to make sure the experience is user-friendly across devices. Your website provides signals about the quality of your product or service. If your site does not have accurate and up-to-date information, what message are you sending to your audience? 2. Your audience continues to evolve. Your audience continues to evolve and so should your business. As your audience adopts new technology and digital trends shift, they will expect your brand to keep up. If your business does not evolve at the rate of technology, you can lose your customers to competitors with stronger digital brands. 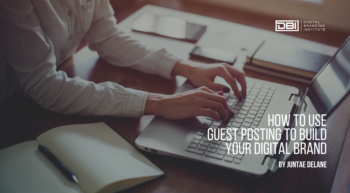 Your digital brand is your welcome mat for customers in the digital space. It also determines how customers perceive your brand. A modern digital brand can lend credibility to your business and your offerings. Credibility is so important for any digital brand and business. You want people to value your business, take it seriously, and trust you. A poor digital brand negatively impacts your perceived quality, brand credibility, and business profitability. Even if your products or services are amazing, people will be less likely to trust them if your digital brand doesn’t help them shine. This is why you might need to stay current and up-to-date with a digital rebrand. 3. You want to remain competitive. Is your digital brand on trend for your industry? How do your digital touch points compare with your competitors’? Are your website, social profiles, email campaigns, and digital ads on par with industry standard? If your digital brand is not at or above industry standard, you want to execute a digital rebrand. This is especially true if you are in a competitive market. Think about it. If you were researching online for a particular product or service, and you find many businesses with professional-looking modern digital presences, and one with an out-of-touch looking website that hasn’t been updated in years, and all of them offer roughly the same things at similar prices, which are you going to immediately eliminate? You need a competitive digital brand so that your business can meet the expectation that has been established for your industry and market. 4. You want to gain a strategic advantage. If you want to gain a strategic advantage for your business, you must continuously innovate and stay ahead of your competitors. To establish yourself as an industry leader, be among the first to adopt and implement new practices as the digital landscape changes. Things can change fast online, not only when it comes to aesthetics. New kinds of content and new popular ways of sharing and displaying content are often shaking up the game. What social platforms are popular, trending, and out of touch can change fast. Even the types of content that trend are different amongst different demographics and circles. You need to know what you want and who your customer is so you can have an attractive digital rebrand that is ahead of the curve. 5. You want to attract talent and partners. While many businesses focus their branding efforts on attracting customers, an attractive digital brand can lure talented employees and partners to your business. Since potential employees and partners are also evaluating your brand, make sure they are left with a good impression. In the digital age, it is not only customers who will research your digital brand online before interacting with you. Employees and partners will also look you up online. If your digital brand is not up to par, they may decide not to work for or with you. You don’t want to lose out on important opportunities because your digital brand is lacking. Simply put, your digital brand is the face of your business. Develop a quality, innovative digital brand to attract customers and opportunities that further your business goals. Are You Ready For A Digital Rebrand? In the modern age, people research brands online before deciding to work with them, for them, or invest in products and services from them. Your digital brand will reach far more people than you ever could in real life, as it is only a click away from anyone anywhere in the world. If your digital brand is behind the times for any reason, it reflects poorly on your brand as a whole. As the first impression most people get of your business and brand will be online, it is critical that your digital brand makes a good first impression. If your digital brand does not make a good first impression, it is time to rebrand your small business. This is so it can do the hard work you need it to and help you make important connections with customers, clients, potential employees, and partners. Which reason do you think is most important when it comes to digitally rebranding a small business?